The arrival of a big conglomerate often serves as a kiss of death to small businesses. For how can you compete with these giants in the face of the vast technological resources, deep pockets, seasoned management, and the powerful brands of, say, a Wal-Mart or Home Depot? But small businesses also have more options than they might think. Those options vary, depending on the nature of a company’s competitive assets. It is possible not only to survive but also to thrive alongside the giants. Small companies, more than the superstars, need to keep their eyes on the ball. Here are some ways smaller companies can compete head-on with the industry leaders. When you can’t be the best in your entire product category, then be the best in at least one segment. Even multinationals know that they cannot serve the whole world by itself. 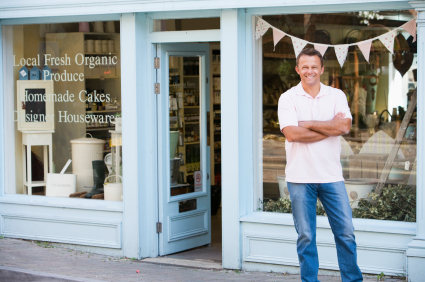 Focusing on a niche market is a powerful tool small businesses can use to be able to remain afloat in the face of intense competition from a giant competitor. Successful small companies can decide to serve market segments such as businesses rather than consumers, or customers in selected industries with similar needs, or a specific geographical area. These decisions enable the smaller company to tailor product and service offerings to the target market, entice the customers, and enjoy more profit than those in the central marketplace. One rule in marketing is that it is much more expensive to attract new customers than to retain old ones. Make every effort to keep your existing customer base come back to you. Offer special discounts; send out a regular newsletter or product brochure, even start out a club. Make your regular customers feel special and you can be sure that they will continue to come back to you. Electronic commerce is the leveler between great and small. A well defined and effective website does not depend on large investment or back office infrastructure. A business, no matter how small, can project itself to be a big company on the Internet with a cleverly executed web site. Even the largest companies including Wal-Mart are faltering in the arena of web commerce, probably due to lack of vision, poor execution or competing information requirements. As the giant stumbles, the Web creates the opportunity for leaner and more flexible competitors. Small businesses, in order to survive, need to be nimble. You need to be quick in identifying opportunities for your business. Giants are often hampered by a complex organizational structure where approval for a business decision can take days. Small businesses do not have this kind of baggage to carry, and you need to make full use of this advantage. Your size can also be your strength. Even the telecommunications giant AT&T lost its market share by a once-small company called MCI. MCI introduced the product Friends and Family, a low long distance rate offered only when customers recruited other customers (their friends and families) into its “calling circle.” AT&T could not respond. It could not offer discounts for calling circles; everyone was already an AT&T customer. Using price to compete with a giant is a tricky proposition. Below-cost promotions and giveaways to gain market share are questionable approaches, and could even be suicide for small startups. The key to remember is that your business model must provide customers with long-range value above a price that covers costs. Unless your business allows you to develop your inventory at prices much lower than the giants (e.g. purchase odd lots, closeouts, and damaged goods), then thread carefully on competing with national businesses on price. Instead on focusing on price, you can offer excellent customer service, develop unique distribution strategies, package for a specific market segment or patent a technology. The key is to provide value to customers and profit to your company. Above all else, learn from the experiences of other small businesses that faced similar competition from giants. There are a number of success stories out there, maybe even in your own neighborhood. You just need to keep your eyes open, study your market, and study your competitor’s strategies. It will be tough, but no one says that it cannot be done!